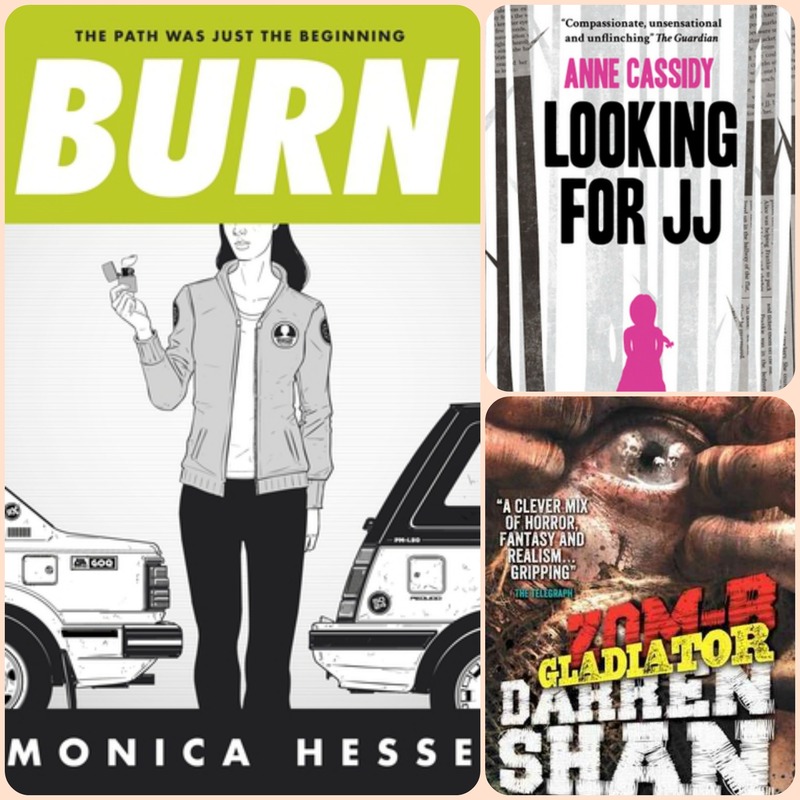 BURN by Monica Hesse: I squealed so loudly when I opened up this! 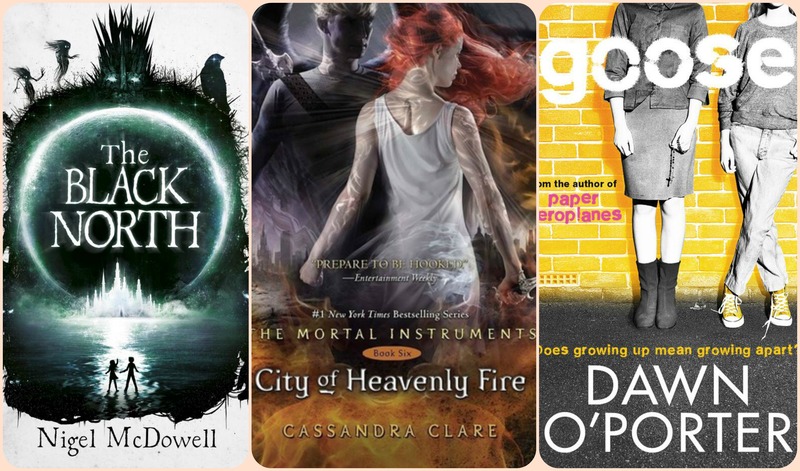 I fell in love with STRAY, the first book, last year. I’ve been waiting for ages to see what’ll happen next to Lona! Since it’s been at least eight months since I read STRAY, I’m re-reading it now, then I’ll be moving straight onto this afterward. I’m so excited, and I love the cover so much- thank you, Hot Key! Looking For JJ by Anne Cassidy: I received a copy of the sequel to this, at Hot Key’s last blogger’s meet-up. It sounds so interesting, but I haven’t read the first book yet (published by a different company). Hot Key had a few copies of the first book to send out, so thanks so much to them for the copy of this. I love the anniversary cover, and the concept seems really brilliant. Looking forward to both this and the sequel! One more little bit of cool stuff! 😀 My dad frequently writes book reviews for the Croydon Advertiser, a SE London newspaper. He sent one off my book reviews to see if I could try reviewing in there… And it was published this week! 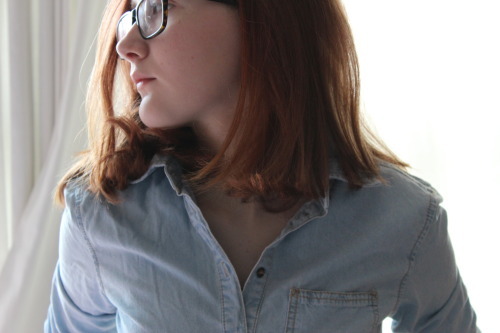 So, hopefully I’ll be posting some more book reviews in the newspaper. 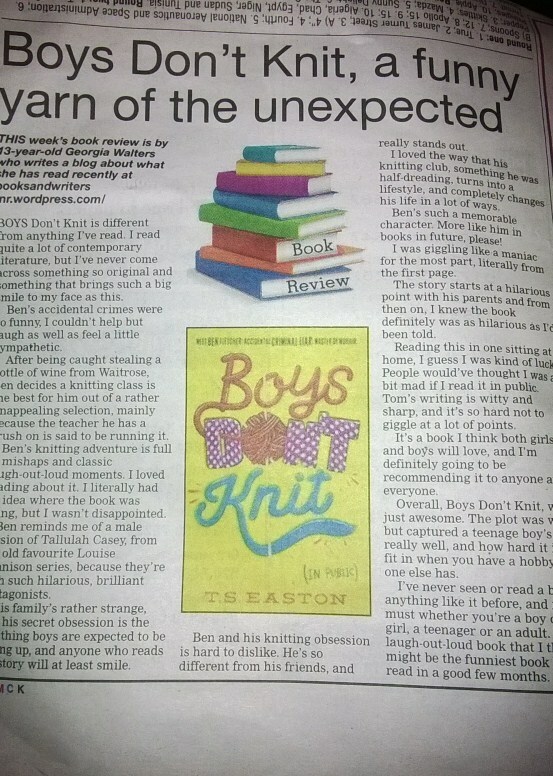 It was so cool to see my review of Boys Don’t Knit in print! Huge thank yous to the newspaper and, or course, all of the lovely people who tweeted me after I tweeted out a picture! (: This is what it looked like in there, but it’s probably hard to read- so you can view my review, originally posted on this blog, here. This entry was posted in Uncategorized on January 17, 2014 by keithbwalters. OMG Georgia congratulations! Such a big spread for a book review too 😀 How fantabulous! I should be getting a copy of Looking for JJ soon, and I’m really excited about reading them both.